The National Institute on Drug Abuse (NIDA) publishes that over 50 million Americans have reported misusing a prescription medication at least once in their lives, and 14 percent of those who cite past-year prescription drug misuse struggle with drug dependence or abuse. Benzodiazepines, often called benzos, are a class of prescription drug that are regularly abused. Common benzos include Valium (diazepam), Ativan (lorazepam), and Xanax (alprazolam), which are prescribed for the short-term relief of anxiety and panic disorders. These medications are considered to be habit-forming with prolonged and regular use, so typically, they are not meant to be taken on a long-term basis. 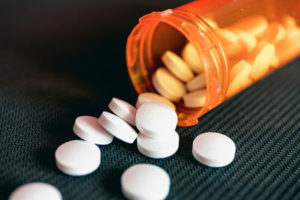 The US Food and Drug Administration (FDA) warns on the medication labeling for Xanax that the drug is not to be taken long-term even with medical necessity due to the high risk for physical drug dependence and difficult withdrawal symptoms that can occur when the medication is discontinued. Benzodiazepines are central nervous system depressants, acting as sedatives to reduce blood pressure, respiration, and heart rate; they also lower body temperature and enhance relaxation. Benzos are abused by chewing the tablets or crushing them to snort, smoke or inject the powder. Any use of the medication without a medical need and legitimate prescription is considered abuse. The mellowing high benzos can produce when they are misused makes them a target for abuse. 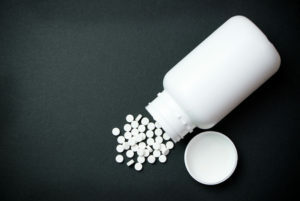 Benzos are also often combined with other drugs, such as opioids or alcohol, making them much more dangerous and compounding all potential risk factors for all substances involved. Overdose death rates in Massachusetts are very high – higher than national averages. The Centers for Disease Control and Prevention (CDC) reports that the overdose death rate for Massachusetts in 2015 was 25.7 per 100,000 population as opposed to the national overdose fatality rate of 16.3 per 100,000 population. Benzodiazepines were involved in 38 percent of all overdose fatalities that were recorded in 2017 that also had a toxicology screen available in Massachusetts, ranking behind only fentanyl, heroin, and cocaine, the Massachusetts Department of Public Health (DPH) publishes. The combination of benzos and opioids is particularly concerning as both suppress vital and life-sustaining functions of the central nervous system, raising the odds for a life-threatening overdose. In Massachusetts, benzodiazepine addiction is commonly managed through outpatient or residential treatment programs. They offer a variety of options and services, depending on the individual and their specific circumstances. Efforts to treat benzodiazepine addiction often begin with educational programs and public information campaigns to help stop abuse of these drugs before it begins. Preventative efforts are both local and statewide, and many are funded through federal and state grants. The Massachusetts Technical Assistance Partnership for Prevention (MassTAPP) supports communities all throughout the Commonwealth through funding provided by the Massachusetts Department of Public Health’s (DPH) Bureau of Substance Addiction Services (BSAS). Technical assistance (TA) is provided by expert staff through MassTAPP; they then connect with local municipalities and providers to offer prevention services, educational programming, in-person networking events, and peer-to-peer learning. Local MassTAPP prevention coalitions are mapped out here. Another statewide preventative effort is offered through the Massachusetts Opioid Abuse Prevention Collaborative (MOAPC), which provides funding to local communities and organizations as well. The Massachusetts BSAS reports that 192 cities and towns are serviced through BSAS-funded prevention programs. A statewide prescription monitoring program (PMP) helps to track prescribing practices. 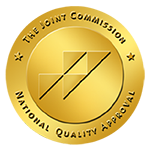 This program monitors the dispensing of controlled substances in an effort to recognize potential patterns of drug diversion and misuse. Legislation, including An Act Relative to Substance Use, Treatment, Education, and Prevention, enhances the current PMP, increases educational programming and preventative efforts, places a seven-day limit on opioid prescriptions, provides overdose reversal training for first responders, and mandates drug disposal locations. Multiple prescription drop box locations can be found all over the state of Massachusetts that allow residents to get rid of unused and unwanted prescription medications with no questions asked to avoid diversion and misuse. A Good Samaritan law protects an individual who attempts to reverse or report an overdose from drug-related or civil charges. Nonprofits like End Mass Overdose provide educational resources and preventative services to Massachusetts residents. Efforts like the Massachusetts Health Promotion Clearinghouse offer publications, resources, and health promotion materials at no cost. Community-based coalitions, nonprofit agencies, and organizations in local communities, such Drug Free Greater Lowell, provide resources on curbing substance abuse in the area to promote and enhance the wellbeing of the entire community through a drug-free environment. BSAS licenses local addiction treatment providers. They also structure and implement programs and treatment services throughout the Commonwealth. Treatment is provided through local providers based on where a person lives in Massachusetts. Community-based providers and community health centers (CHCs), of which there are more than 50 operating in over 300 offices in Massachusetts, offer addiction treatment services that can include detox, assessments, crisis management, group and individual counseling, behavioral therapies, life skills and relapse prevention training, medication management, transitional living arrangements, and recovery support. Benzodiazepine addiction can be treated through residential or outpatient treatment services, depending on the individual’s specific needs. Residents seeking information on public addiction treatment in the Bay State can call the Massachusetts Substance Abuse Helpline, which is open 24 hours a day, seven days a week, providing a complimentary and confidential resource for locals. The helpline is also available online through a web-based interactive survey to pinpoint local resources and referral details. The Behavioral Health Treatment Services Locator operated by the Substance Abuse and Mental Health Services Administration (SAMHSA) keeps a current listing of all behavioral health treatment services throughout the United States, allowing people to search locally by inputting a local zip code to find state-regulated services in Massachusetts. Both public and private services are available and open to residents of Massachusetts seeking care for addiction and behavioral health concerns. Public programs may have longer waiting lists and specific eligibility requirements to be admitted. Public mental health treatment is provided through the Massachusetts Department of Mental Health (DMH), which acts as the single state authority on mental illness treatment in the Commonwealth. DMH has 27 offices throughout the Commonwealth, six CHCs, and four continuing care locations to provide public treatment for mental illness in Massachusetts. The DMH Resource Guide can walk residents through how to find a local treatment provider and what services are provided. The National Institute on Mental Illness (NAMI) Massachusetts is another great resource for mental health support and information on treatment and recovery options. 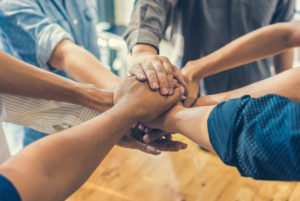 Nonprofit organizations, such as the Massachusetts Clubhouse Coalition and Magnolia New Beginnings, also provide prevention, treatment, and recovery support information for residents of Massachusetts who are seeking information and local resources for behavioral health concerns. Helping families with a loved one battling addiction and supporting individuals in recovery, Learn to Cope provides support and resources for Massachusetts residents as well. The statewide initiative, the Massachusetts Organization for Addiction Recovery (MOAR), also provides details on prevention efforts, educational programming, local treatment referrals and options, and recovery support information. The New England Region of Narcotics Anonymous (NERNA) further supports individuals in recovery with multiple locations across the Commonwealth offering meetings and peer-to-peer support in recovery.